A few short years ago, Buffalo was home to only a handful of excellent breweries. 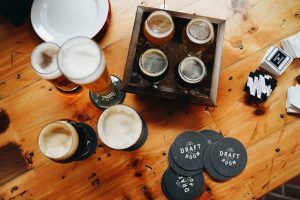 Fast forward to today, the upstart pioneers of the local craft beer movement have ushered in nearly 40 new beer operations and Buffalo has joined the ranks of the nation’s great craft beer towns – just ask Uproxx. Spread across neighborhoods and communities all over Western New York, craft beer continues to be a leading catalyst of our region’s renaissance. Once industrialized neighborhoods and quaint villages are becoming hotspots for breweries and beer gardens. On the fridges of the neighborhoods of Riverside, Black Rock and Kenmore, Forth Brewing has come forth with some of Buffalo’s most “out there” brews. Don’t believe us? The Always Sunny D pale ale is conditioned on citrus peels and blended with Sunny Delight. 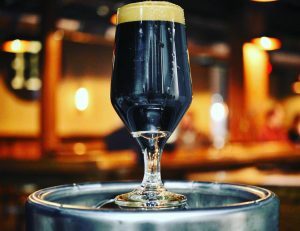 Mounds Bar is a chocolate stout with toasted coconut and locally-roasted coffee while Cinnamon French Toasted is brewed with pure maple syrup, macadamias and, well, cinnamon. Curious drinkers welcome! This brewery is not for someone looking for just another IPA. 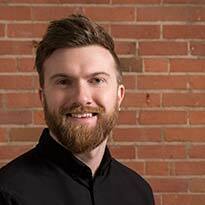 At the time of opening, Belt Line Brewery’s head brewer, Erik Greiner, 27, was Buffalo youngest. But the beers at Belt Line drink like the work of a seasoned brew veteran. Standout taps include A Beer with Nelson, a hazy IPA, Crosscut, an oatmeal stout (try it on nitro), and Farm to Tap, a honey kolsch. Soak up those ABVs with some food from the kitchen like hand-cut fries with lemon tarragon mayo, a double-decker diner burger, or a vegan Chicago dog. Taking the words of Beyonce’s “Upgrade U” to heart, the owners of the once small but mighty CBW have graduated to the big leagues – still on Buffalo’s West Side, of course. 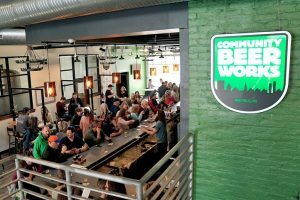 Now sporting a beer garden and fire pit, outdoor games and a full food menu, CBW is consistently ranked one of Buffalo’s best breweries. 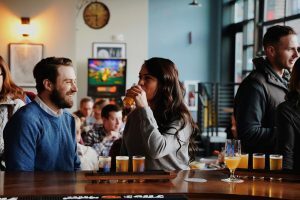 The on-tap menu is also one of Buffalo’s most diverse, sporting beers like Let’s Go Pils, a simple-done-right pilsner, staples like The Whale brown ale and Frank American pale ale, Bang A ‘Uey New England IPA, and their Singularity series. Who would’ve thought the vacant industrial warehouses of Black Rock’s Chandler Street would make the perfect setting for a cider-focused bar. 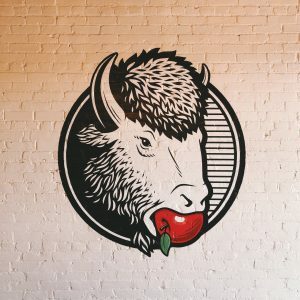 Behold, Buffalo Cider Hall is here. A menu of ciders for every palette are on tap – Premium Draft for a semi-sweet finish, Estate Reserve for semi-dry and the oak aged series for bone dry lovers. As a bonus, once the weather heats up, Buffalo Cider Hall will have one of the coolest outdoor courtyards in town. 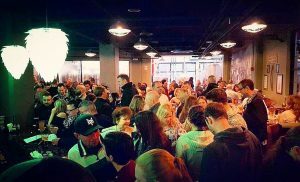 The Canadian-born beer, that the citizens of Buffalo have loyally and lovingly adopted as their own, wisely opened a brew house in heart of Downtown Buffalo this past winter. Since the doors have flung open, this restaurant, bar and test kitchen tap room has welcomed thirsty sports fans and show-goers to nearby KeyBank Center in droves. And during the summer, it’s bound to be one of Buffalo’s most popular patios. 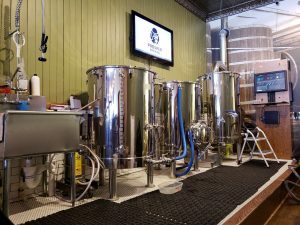 After the better part of a decade, brewing beers for the fine folks of Wilson, NY, the proprietors of Woodcock Brothers have found a second home in North Tonawanda’s historic Wurlitzer building (yep, the piano company). For those familiar to the Wilson brewery, first time patrons to this new location will find a space nearly as massive as the former. Equipped with a dozen refreshing brews and veritable smorgasbord of tasty eats, don’t be surprised if you find yourself spending a whole day here. Just on the other side of the Canal, Prosper Brewing claims to have broken a 70-year brewing drought in the Tonawandas. We say cheers to that! Set along beautiful Webster Street, directly across from the historic Riviera Theatre, visitors are treated to brews that have tradition in mind, from the Prosper Porter, Imperial Amber, Vienna Lager, Munich Dunkel.